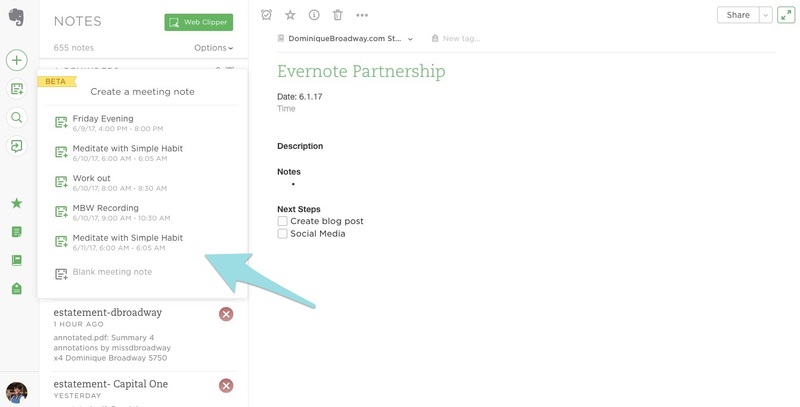 Thanks to my friends over at Evernote for partnering on this post. When I first started my business, all I wanted to do was provide affordable and easy access to financial planning to people that typically were not able to access this quality financial advice. The firms that I previously worked at, would require you to have at least a million dollars in order to become a client and get financial advice and I was determined to change that! 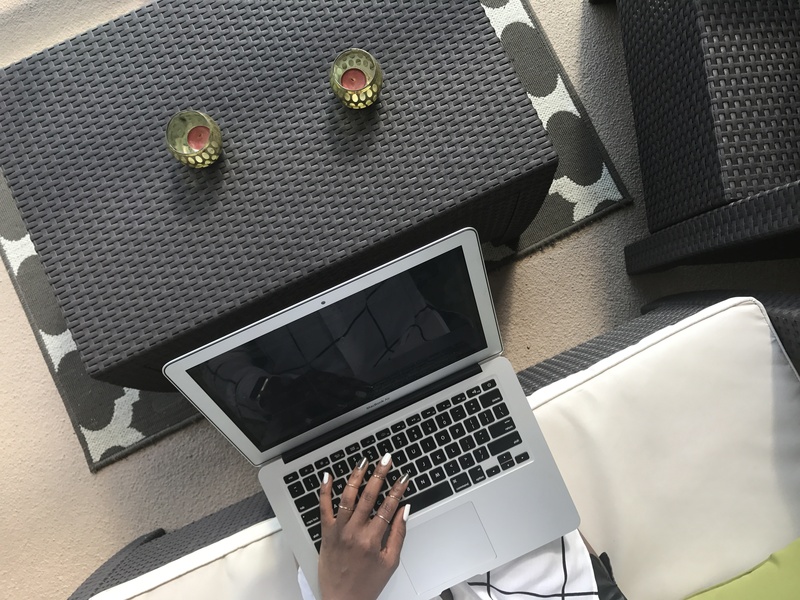 As my business has grown, I have had to learn how to truly stay organized, as it seems that I am always working on a million projects. And once you add in my frequent travel schedule, thanks to speaking engagements, participating in accelerators and just enjoying exploring other cities, it can get very difficult to manage. So to help with my sanity and keep me in tune with my team, I have been using Evernote for a few years now. When I first started using this app, I only used it to take notes when I was planning something for my business, and in my personal life I have used it to organize my ideas to redecorate my bedroom and I even have a notebook within Evernote to save all of my notes from church. Over the years they have added tons of new features and one of my favorites is the templates! The templates are awesome and you can add them to any of your notebooks within Evernote. The templates can help you do everything from plan out a project, budget for a project, work on your personal budget, manage your human resources and even set and track your monthly and quarterly goals. And with Evernote Premium I can access my notes even when I am 35,000 feet in the air jet-setting across the country with their offline availability feature. One of the newest features that has taken my organization to a whole new level is the Evernote & Google Calendar Integration! Evernote Premium will automatically sync with your Calendar and will pre-fill a note based on the meeting information on your calendar, so all you have to do is open Evernote and start taking notes for the specific event! Loving this feature! 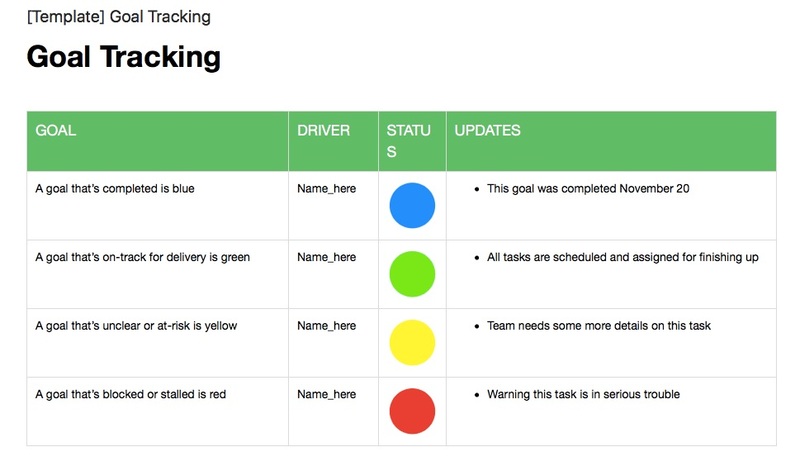 It makes it super easy to share with your team after, so everyone is on the same page. As we add more projects and people to the team, communication and clarity are critical amongst my dream team. Evernote Premium has been a great tool to keep my busy, visual mind organized and on track! Can’t wait to see what features they come out with next! This post was created in partnership with Evernote. All opinions are my own.